Well, not yet. The replacement fan, advertised as replacing the part number marked on the old one, arrived yesterday. It is not any kind of possible fit. The mounting holes don’t line up at all, and also the open end the air goes out is 3/8″ less wide. 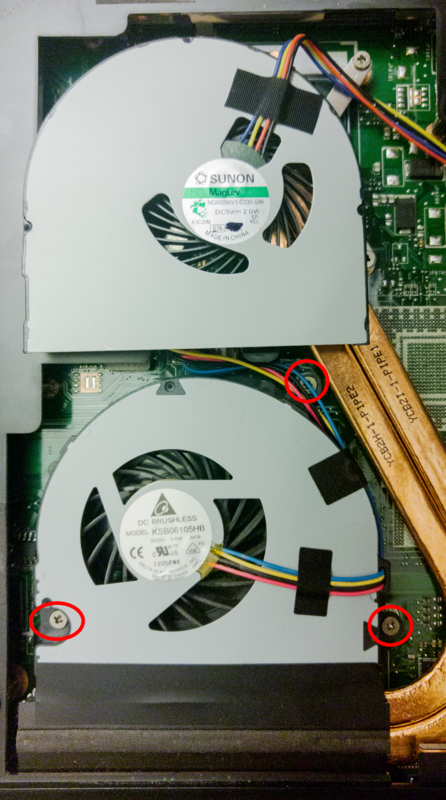 That’s the new one at the top of the photo, old one still installed in the laptop at the bottom, with the three mounting screws circled in red. Oh well! Exercising the return option. My sympathies. I need to replace both fans in a Dell XPS One. I don’t know whether to try for new or go for pulls.